Watch The Orville Season 1 Episode 3 online via TV Fanatic with over 1 options to watch the The Orville S1E3 full episode. Affiliates with free and paid streaming include Amazon. 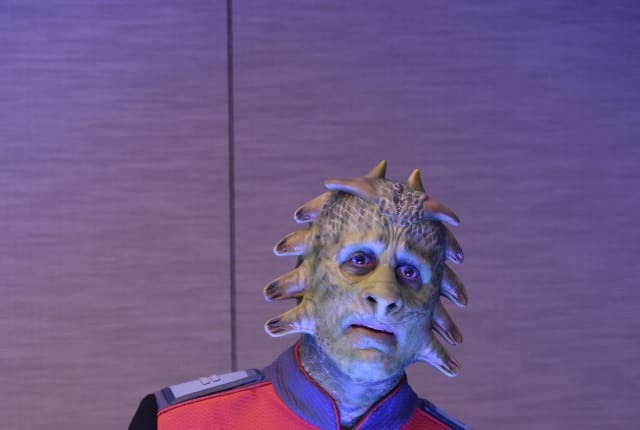 On The Orville Season 1 Episode 3, when Bortus and Klyden debate if their newly born offspring should receive a controversial surgery, the crew is divided.